ITINERARIES "A location from our dreams but now, it's time to experience and live the dream in reality" Breathtaking panoramic view of Snow! 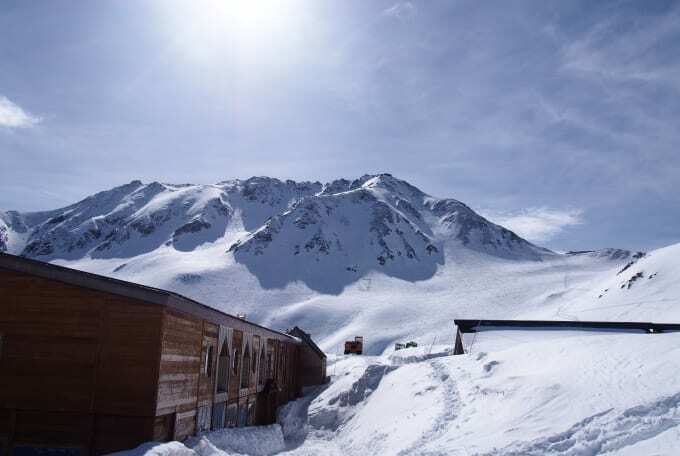 Tateyama Kurobe Alpine Route located in the central area of Japan and a mountain ranging at altitude of 3000 m level is a popular mountain route where you can enjoy a picturesque scenery of the magnificent snow from winter to spring. 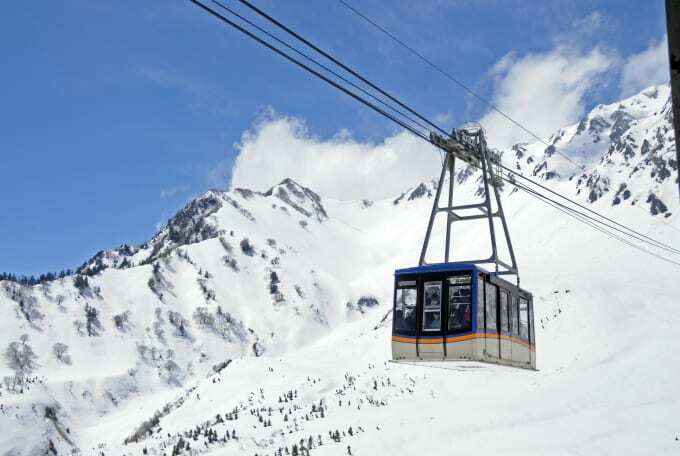 Two full days in which you can thoroughly explore must-see sights of Tateyama Kurobe Alpine Route. 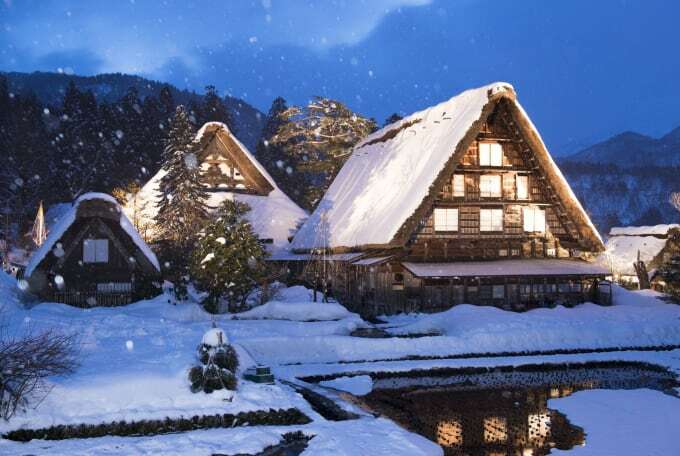 You get a chance to see the World Heritage site Shirakawago or hotspots around Nagoya. In addition to the beautiful snowy landscape, the itinerary offers many things to experience such as a natural hot spring, local food or a spot where you can explore the traditional Japanese culture. The huge snow wall, incredible snow canyons! Tateyama Kurobe Alpine Route. World Heritage site of Japan! Shirakawago covered with thick snow blanket. 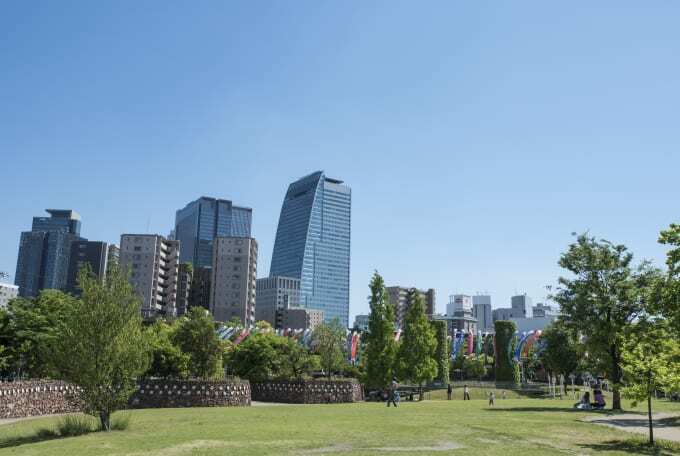 From tradition to latest technology, must see hotspots in Nagoya. Leave for JR Toyama Station by Hokuriku Shinkansen from JR Tokyo Station. Walk to Toyama Station from JR Toyama Station. Leave for Tateyama Station from Toyama Station on Toyama Chihou Railways. 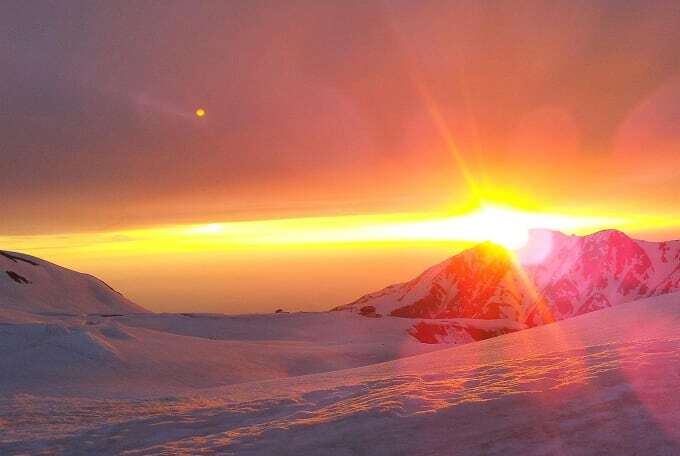 "Tateyama Kurobe Alpine Route" is the world's leading mountain sightseeing route connecting Toyama Prefecture and Nagano Prefecture through the northern Alps with mountains at the altitude og 3000 m level. Every season has a new highlight and you can enjoy magnificent nature from the top of the cloud at any season. Leave for Bijodaira by Tateyama Cable Car from Tateyama (about seven minutes), and go to Midagahara by Tateyama Highland Bus from Bijodaira (about 30 minutes). Midagahara Let's enjoy snow trekking on the snowy field and above the cloud! With the altitude of between 1600 and 2000m, you can see a stunning snowy landscape from winter to spring and observe unique mountain flora vegetation from summer to autumn. Trekking wearing snow shoes is popular among tourists. About 10 minutes by bus from Midagahara to Tengudaira. Tengudaira Snow caped white mountains! Major tranformation into flower garden after spring. You can also enjoy a panoramic snowy landscape at Tengudaira at the altitude of about 2300m. When the snow melts in spring, a variety of highland vegetation blooms so you can see it while taking a stroll on the well-managed cobblestone roads. About 10 minutes from Tengudaira to Murodo by Tateyama Kogen Bus. Murodo The sunset view from Murodo Station, the highest altitude railway station in Japan, is incomparable! Murodo, which is known as the highest altitude railway station/bus terminal, is well equipped with hotel and commercial facilities as it is in the centre of the surrounding area. When you visit there, the mind-blowing sunset is a must-see. The sun slowly sets in a sea of clouds, phenomenally turning the sky from orange, pink, red through to purple. 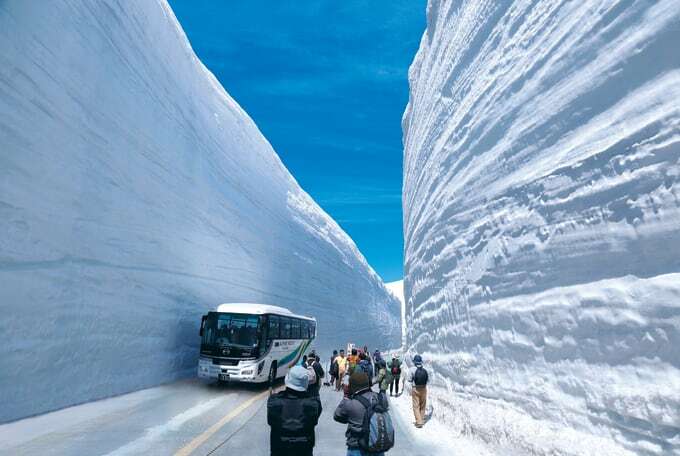 Walk along the "Roof of Japan" - Yuki no Otani Get Amazed while looking around Huge Snow Wall! Snow Corridor, stretching for about 500m around Murodo Terminal, offers many things to see such as a snow wall of 20m or a massive igloo. A walk to enjoy through towering snow walls is especially popular and attracts many international/domestic tourists annually. Open from mid-April to mid-June. About 10 minutes from Murodo to Daikanbo by Tateyama Tunnel Trolley Bus. 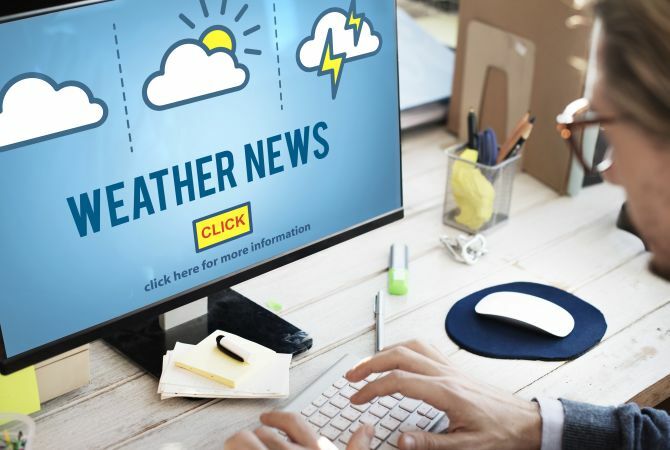 In Daikanbo, which is about a 10 minute bus ride from Murodo Terminal, there is an observatory on the roof of the station where you can enjoy the magnificent panorama of the Tateyama Mountain Range and Kurobe Lake's emerald green sheen. 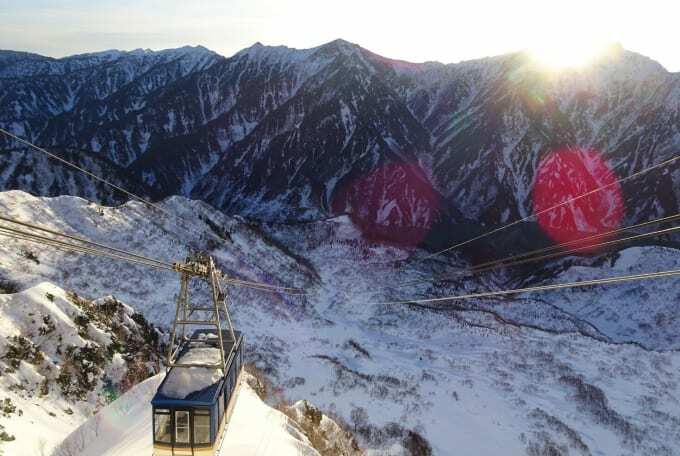 From Daikanbo it takes about 7 minutes to get to Kurobedaira by Tateyama Ropeway, and from there, it takes about 5 minutes to get to Kurobeko by Kurobe Cable Car. Kurobe Lake/Kurobe Dam One of Japan's greatest engineering marvel, the dam is one of the tallest damn in Japan! 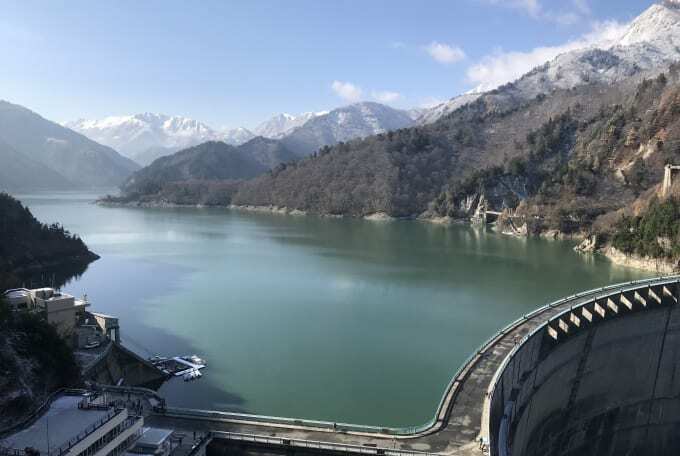 Kurobe Dam, built at the Kurobe Lake, is well known as the largest Arch dam in Japan and when it is open for tourists in spring, people can enjoy the beautiful snow landscape. From summer through to autumn, periodically the floodgates are open for releasing the water, the tourists can also enjoy cruising around the lake. It's about a 16 minute ride from Kurobe Dam to Ogizawa by Kanden Tunnel Trolleybus and then from Ogizawa to Shinano-Ōmachi, it's a 13 minute bus ride by Alpico Express Bus. During the peak tourist season, it takes about 40 minutes. Omachi Onsenkyo Relax at hot spring! The hot spring attracts many tourists for relaxing in the hot springs. The hot spring sightseeing spot "Omachi Onsenkyo" with majestic views of the Northern Alps, has a huge the hot spring facility ,washing away the fatigue from journey by relaxing in the hot springs can be enjoyed. 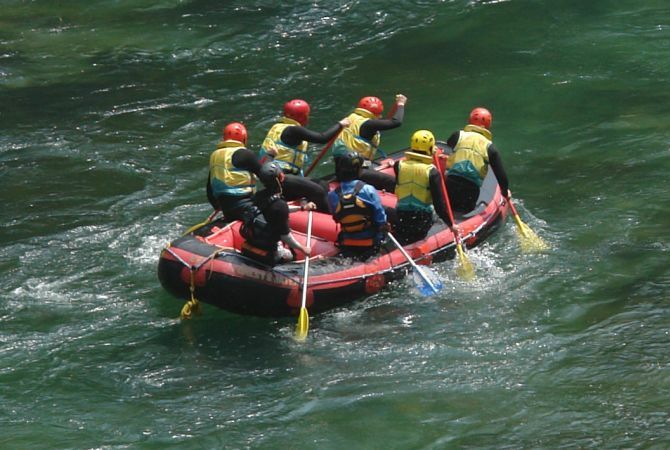 Other activities such as sports or fishing are appealing too. About 90 minutes from Omachi Onsenkyo to Nagano Eki Higashiguchi by Alpico Express Bus, and about 50 minutes from Nagano Station to Toyama Station by JR Hokuriku Shinkansen, and then about 80 minutes from Toyama Eki Mae to Shirakawago by Nohi Bus. Shirakawago A village decorated with the traditional Japanese Gassho-zukuri buildings. 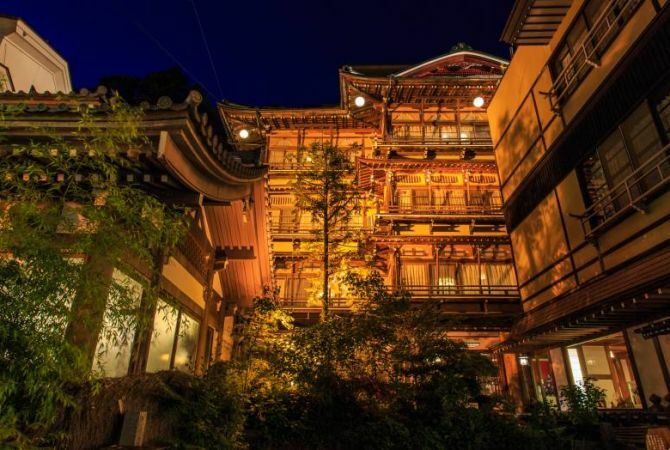 The village, Shirakawago, still preserves the exclusively Japanese architectural style, gassho-zukuri, intact and is listed as a UNESCO World Heritage site. 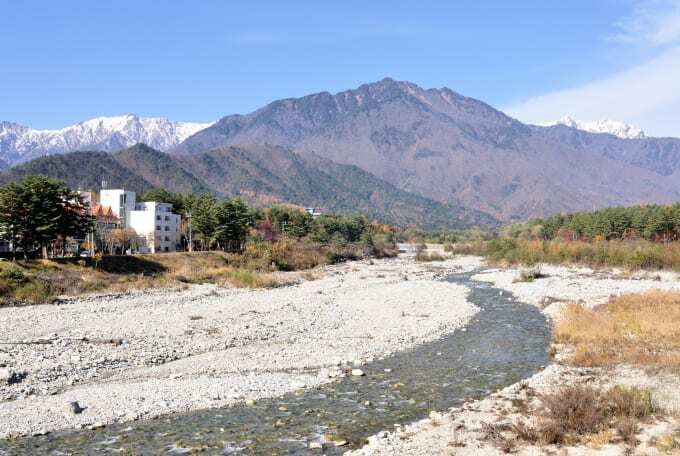 The changing scenery of the seasons is very stunning and the area also offers tasty local food and a natural hot spring. About 50 minutes from Shirakawago to Takayama Nohi Bus Centre by Hokuriku Railroad Bus, and then about 150 minutes from Takayama Station to Nagoya Station by JR limited express Hida. 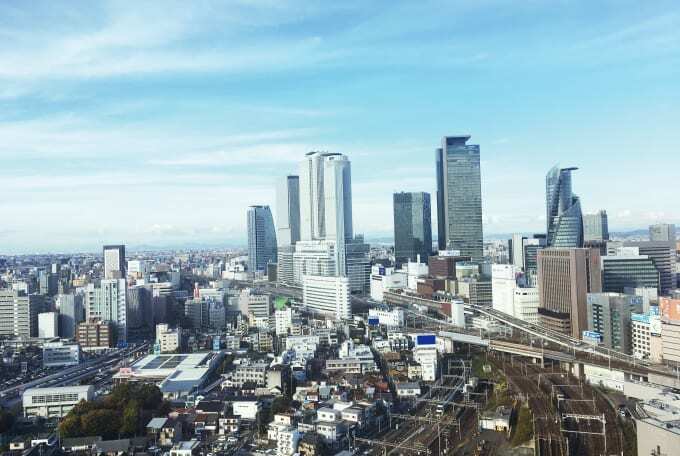 Nagoya Lively city with diverse cultures. 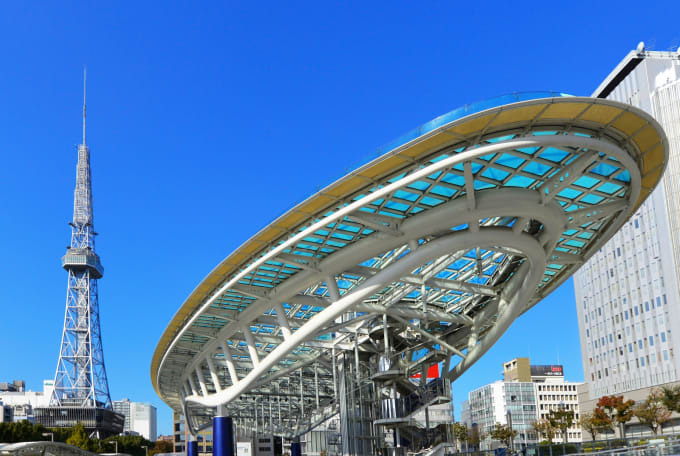 "Nagoya" which is Japan's third largest city is located at the center of Japan. With the Japan's rich history & tradition, it is a famous tourist spot . 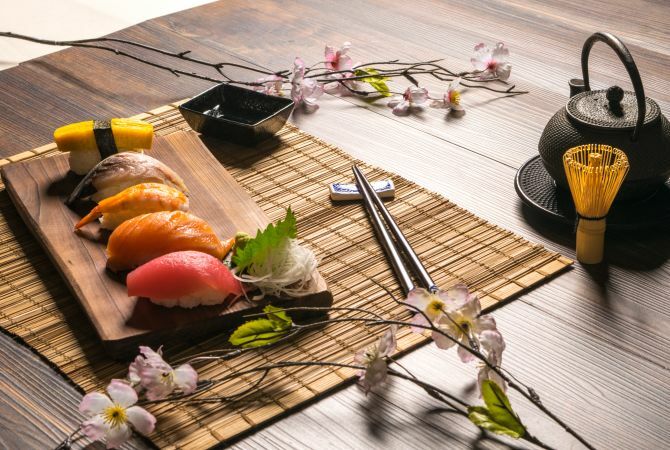 This unique and versatile food culture is fondly called as "Nagoyameshi" and loved by people all over the Japan. About 15 minutes from Nagoya Station to Toyota Commemorative Museum of Industry and Technology by Meguru Nagoya Sightseeing Route Bus. Toyota Commemorative Museum of Industry and Technology Let's learn the progress of Japan's industrial technology with fun. 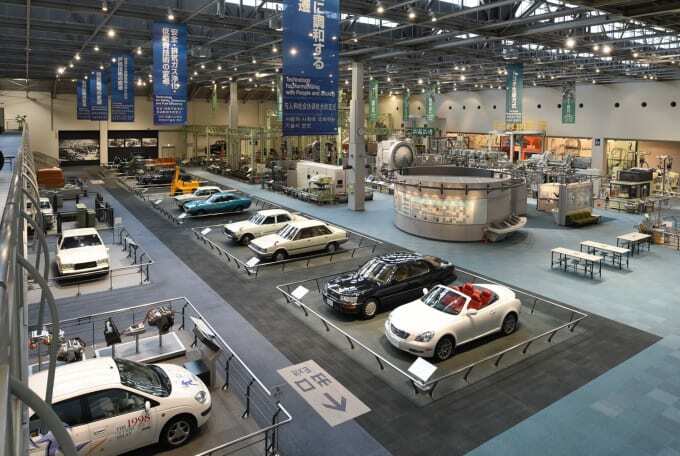 At the museum run by Toyota, a leading Japanese auto company, you can learn how the cutting edge technology of current Japan was born from the progresses in textile and auto technologies. About 15 minutes from Toyota Commemorative Museum of Industry and Technology to Noritake Garden by Meguru Nagoya Sightseeing Route Bus. Noritake Garden Spend relaxing time at the facility & enjoy showcasing of rare ceramics. At the museum complex Noritake Garden run by one of the biggest ceramics manufacturer, you can take a tour of the history museum and red brick building, which was formerly a factory, or enjoy a stroll at the garden full of nature. About 15 minutes from Noritake Garden to Nagoya Castle by Meguru Nagoya Sightseeing Route Bus. Nagoya Castle One of the three famous castles of Japan and a symbol of Nagoya! 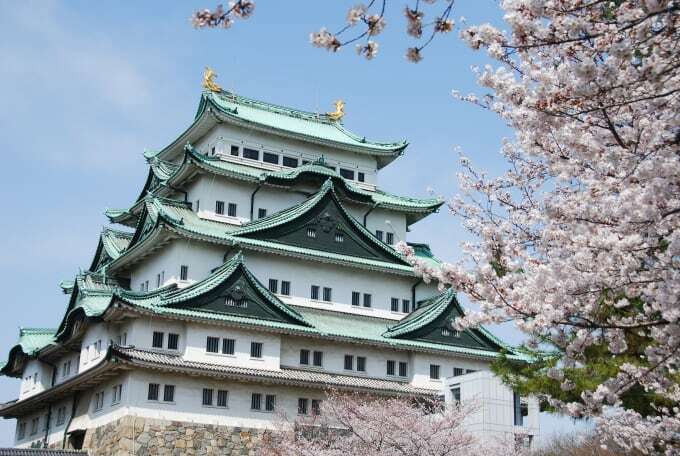 Nagoya Castle is a prominent castle which was constructed on orders of Ieyasu Tokugawa. The castle is fabulously covered with cherry blossom in spring and coloured leaves in autumn, changing the look with the seasons. Honmaru Goten which is said to be the best masterpiece of the castle tower of modern times has finished a long restoration work and has been open to tourist, since 2018. Oasis 21 Enjoy shopping and a night view of the city lights at this beautiful shopping center. Oasis 21's most distinct feature is its huge glass roof whose design was inspired by the image of a sailing ship, earning it the name “Spaceship-Aqua.” It is packed full of things to see and do. Walk on the glass roof and take in the view of the city, or watch the building light up at night. On the basement floor, visitors can also enjoy shopping and dining.